You are looking northeast along Harmon Place towards downtown. The IDS is on the far right. Hennepin Avenue is immediately behind you, Loring Park is out of frame to the right. 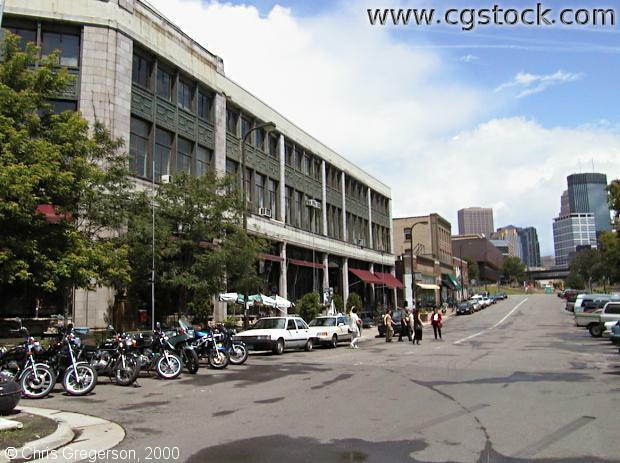 On the left, where the motorcycles and green & white umbrellas are, is the Loring Bar and Cafe.